4. Improve SEO and include reviews and ratings that appear in search results. Notice in the image below that Zillow is above Trulia, which is above realtor.com if someone where to search my name and the term REALTOR(r). Say it isn't so! 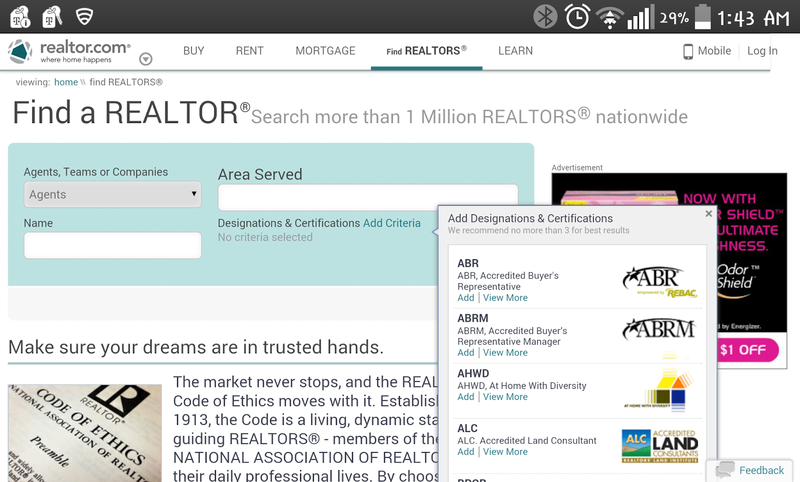 You mean to say that if someone searches for a REALTOR(r) using that person's name and the term, "realtor", realtor.com does not come up first in the search?! This needs to be changed stat! Additionally, notice that Zillow shows an agent's ratings, which is know to be an enticement for web searchers to click on a link. And no, I am not paying for ads on Zillow but because of their SEO placement, I have constant leads from them. Let's get this on track please realtor.com. 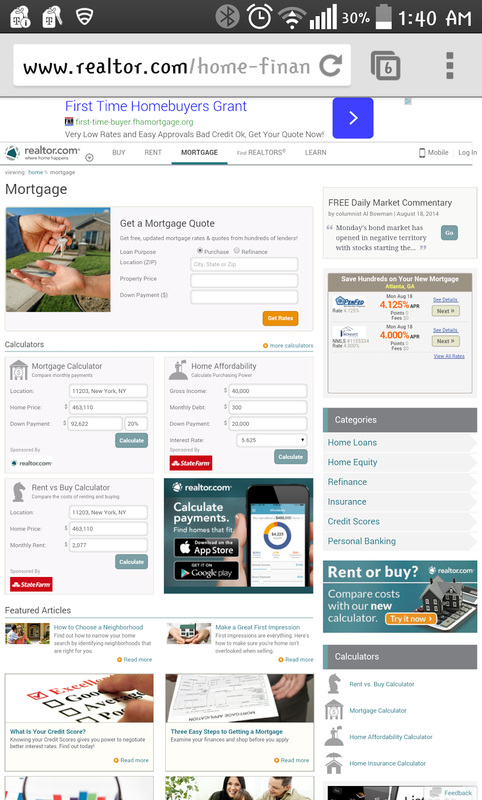 if you notice in the moblie screenshot below, the realtor.com consumer experience is... ummm... cluttered! This was very uninviting for me as a real estate broker and I can only imagine how this is a turn-off to prospective clients searching the site. The realtor.com homepage hits web surfers with informative articles that are laced with real estate jargon. This may not pose a problem for repeat sellers and buyers but this can be intimidating for first-time buyers or sellers. 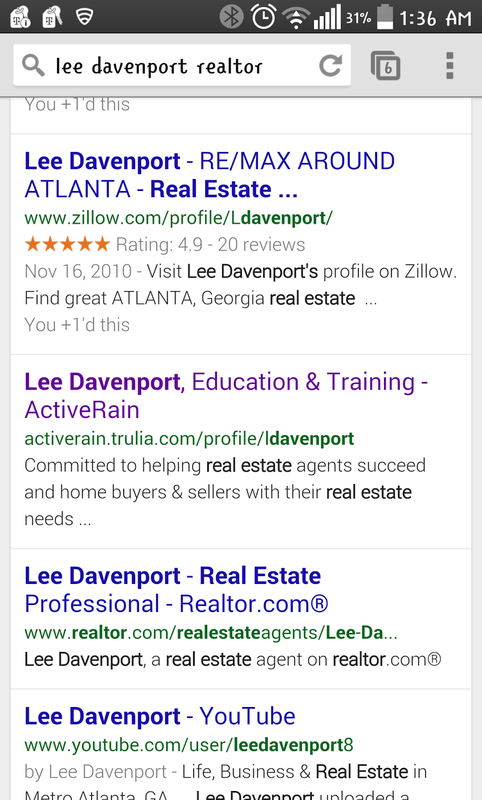 Also, the Find a REALTOR(r) search is coded with designations (i.e. the Agent Alphabet Soup like ABR, ALC, etc.) with no layperson's explanation of their meanings, which is vital for newbies to the home buying or selling process. Realtor.com should be more user friendly, written in everyday, understandable and plain venacular instead of industry jargon. This may mean hiring a writer unfamiliar with REALTORS(r) to be able to translate the site into common terms. 1. Make realtor.com the best and most sophisicated way to find a REALTOR(r)! In light of the last point, this site seems like it is more for REALTORS(r) due to the jargon but it can serve REALTORS(r) best by attracting more buyer and seller clients. To that end, the meager REALTOR(r) search options should be beefed up to be more dynamic and customized to deliver several options of the type of REALTOR that a particular home seller or buyer is searching for in her "neck of the woods". 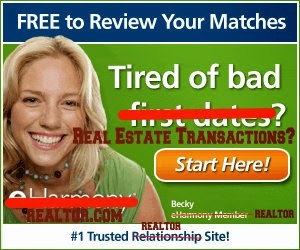 Realtor.com has a unique branding opportunity to become the eHarmony or Match.com of real estate agents and the selling/buying public. See my mock up of this. Trulia has been made famous for its superior search portal and Zillow is known for its Zestimates (home valuations that are lacking in accuracy but still have a captive audience) - the key is that they have specialized along with offering the typical real estate site options. Realtor.com should be known for aptly matching buyers and sellers with REALTORS(r). 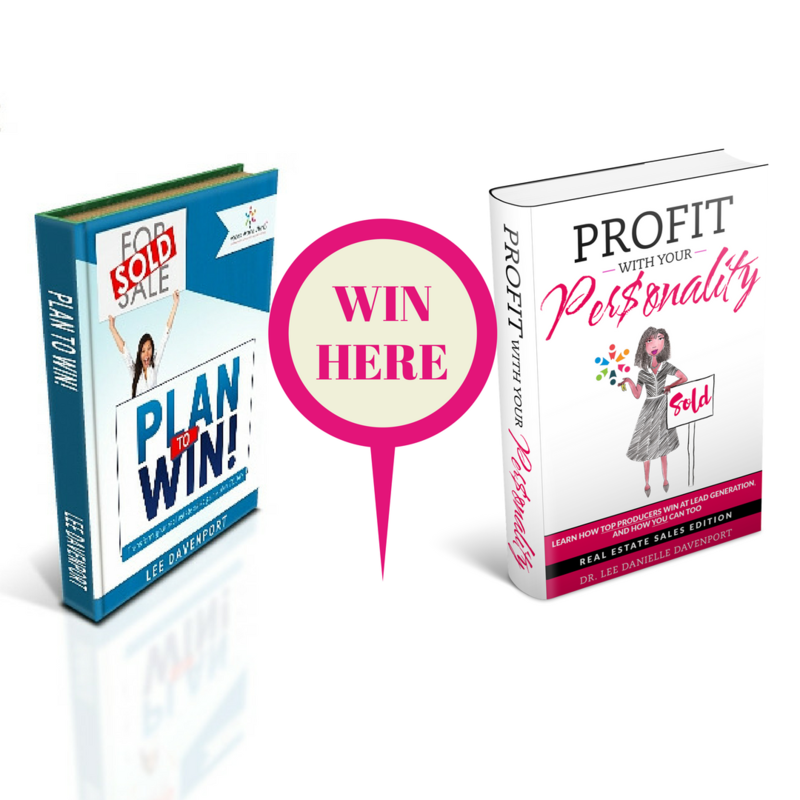 This is a strategic advantage and should be at the core of this site's dynamic competencies. If consumers knew that every time they needed to buy or sell, their home would be handled by a near perfectly matched REALTOR(r) from realtor.com, this site's audience would sky-rocket to an even greater reach. Of course realtor.com should contine to host real estate listing data, searchs, ads and informative articles but it should be called realtor.com for a reason, which is to find well-matched, capable REALTORS(r)! I would love to see and help this come to pass so that realtor.com can innovate beyond the perceived threat of the Zillow Trulia merger or godZulia. This is not to say that there is anything wrong or right about the Zillow Trulia merger but my wishlist is to acknowledge that the site that represents us (and is our name sake), realtor.com, should do better than the other guys.